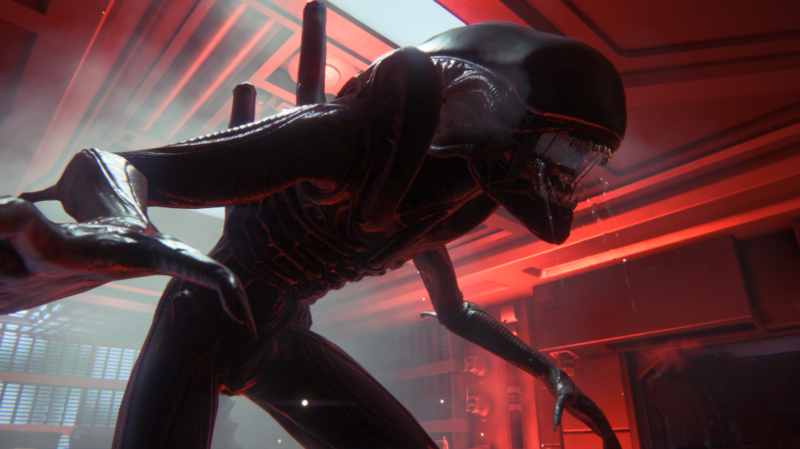 The Alien franchise hasn’t had the most consistent of gaming results. There have been some shinier spots, but most have hovered around muddled to poor. 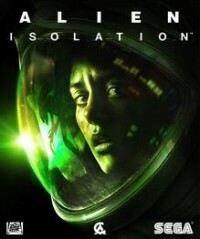 Alien Isolation, though, has been impressive since its debut trailer released in January 2014. Perhaps it has to do with going back to some roots: you assume the role of Amanda Ripley, daughter of Sigourney Weaver’s famous Ellen. I got to step into Amanda’s shoes with some hands on time at San Diego Comic Con and try like hell to avoid being killed. The demo presented was a pre-alpha build, but still was very presentable. A small set of tasks need to be completed, but the bigger concern is to avoid the Alien at all costs. That’s where the demo really shined. The motion tracker that Amanda employs (more on that in a minute) gives you an idea of where the Alien at all times, so you know when you’re being hunted. Small sounds and vibrations will tip you off to an incoming presence and from there, a great creepy and stressful environment is created. Once the creature was met, I needed to make sure to move softly and stay low. The creature stalked its way around the ship, knowing I was moving around towards an airlock. My own mistakes led to a couple of deaths, which considering how intense the Alien will get with you, I didn’t mind out of sheer coolness. But what I was most impressed with was what appeared to be different paths taken by the Alien after each death. That didn’t allow me to cheat my way to an easier path; it required me to put some more thought into how to pass the level. Somewhat of a small element, but noticeable and nonetheless. One partial concern was the use of the motion tracker. In addition to warning you of the creature, it’s meant to guide you toward your next objective. It’s not necessary to use the tracker 100% of the time, but I needed it pulled up a more often than not, which takes up a lot of real estate on screen. Ideally there is a better balance and you won’t need to spend most of the gameplay staring at the tracker. 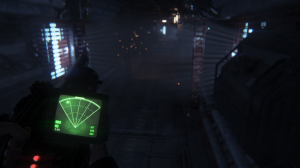 Still, Alien Isolation was definitely an impressive display and could give franchise fans a game to truly enjoy. Look for Isolation to be released this coming October.